This mesic oak forest exists today but may not be around for long. The current plan is to build four new homes here. One of the reasons I love photography is that is documents what is and what used to be. Once the homes are built, this will be a record of the beauty that once was. 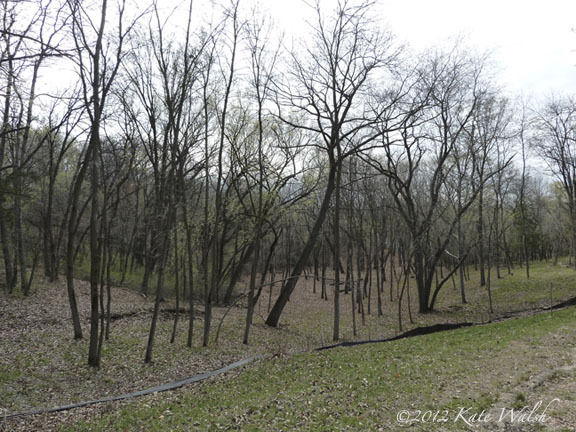 The city of Minnetonka classifies this as a mesic oak forest within the Minnesota Land Cover Classification System. A mesic oak forest consists of a variety of oak trees in a moderately moist environment. On this site, there are oak trees ranging in size from less than 8-inch diameter to 48-inch diameter. These two lots also include large ash, ironwood, and cherry trees. The bucolic land around us continues to be developed. This week’s photo challenge is the theme of “arranged”. I always find nature’s arrangements photo worthy. Thank you. Yes, I agree, nature is magical! I love your intention: photos like memories of beauty! It makes me sad as well. I feel hopeful when I’m in a plane and can look out the window and still see all the green space on this planet. I think it’s easy to forget this when one lives in a city. And the more natural the arrangement, the more interesting as they always seem to have a purpose.